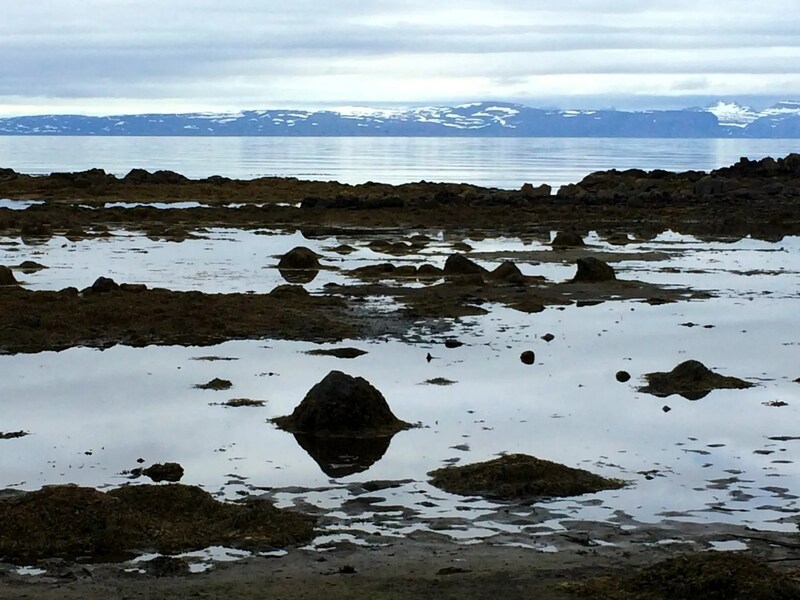 Icelandica is a blog written by Tor Bilski, an American woman who travels every summer to Iceland with a group of friends. They ride horses, chatter incessantly, and kick up dust. She has also written about her visit to Flatey island. 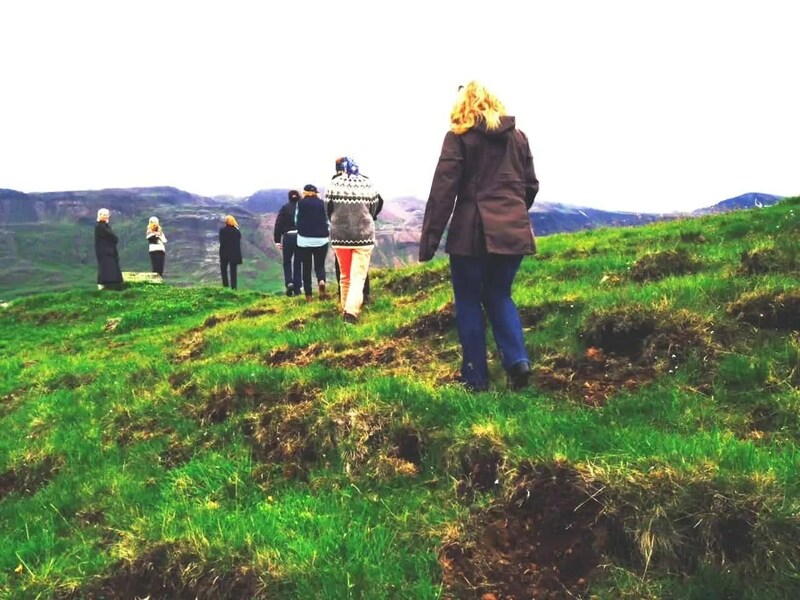 She went on the trail of Agnes Magnusdottir, the protagonist of the book Burial Rites by Hannah Kent. But this year we have new information. 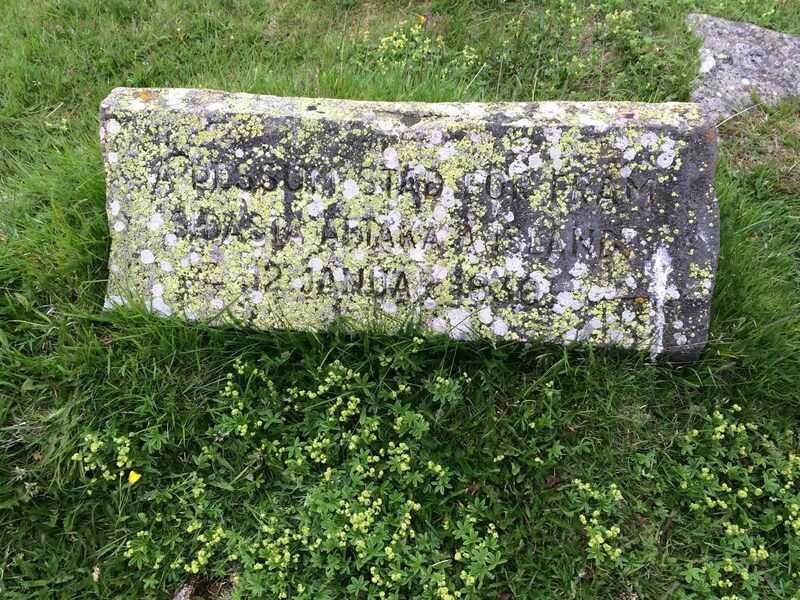 This year we have been told that all those headstones were moved there when our guesthouse was built, and they all belonged to the people who witnessed the beheading of Agnes Magnusdottir in 1830.
before arriving in Iceland. So they are no longer nameless, generic ghosts that visit us; now they are ghosts with a purpose. In all fairness to our host, Helga, she had told us the story of Agnes Magnusdottir the summer before and had mentioned it over the years, too. But for some reason it fell on deaf ears until last fall when I picked up the book in a store and had a “hold on, I know this story” moment. I dashed off an email to my fellow travelers. “This book is about that story that Helga was talking about, that song at the concert in the church, that movie she mentioned.” We were hooked then, gripped by the life and death of Agnes Magnusdottir. 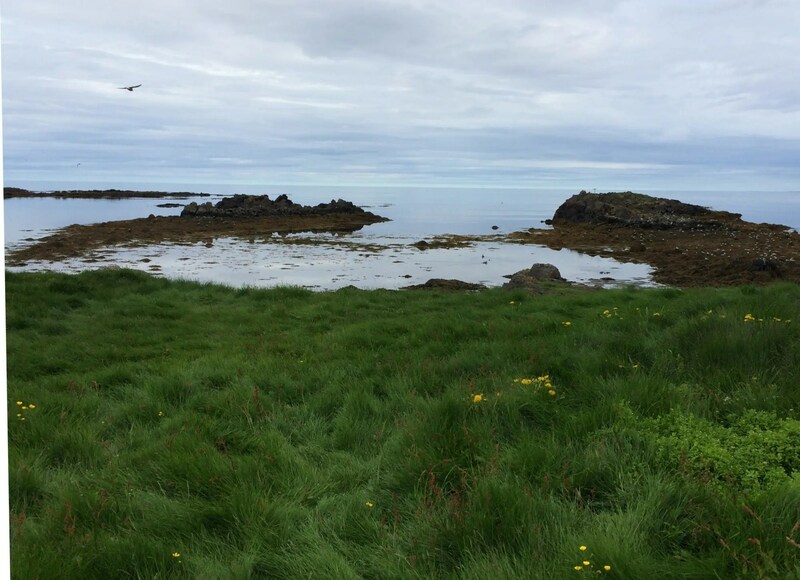 Seeing that the story finally resonated with us, Helga scheduled a full day of sightseeing through Vatnsdalur, home to Agnes Magnusdottir. Thirty minutes south from us, she was born; thirty minutes west, she lived with Natan; twenty minutes inland, she stayed with a family before execution; and ten minutes from our guesthouse she was put to death. 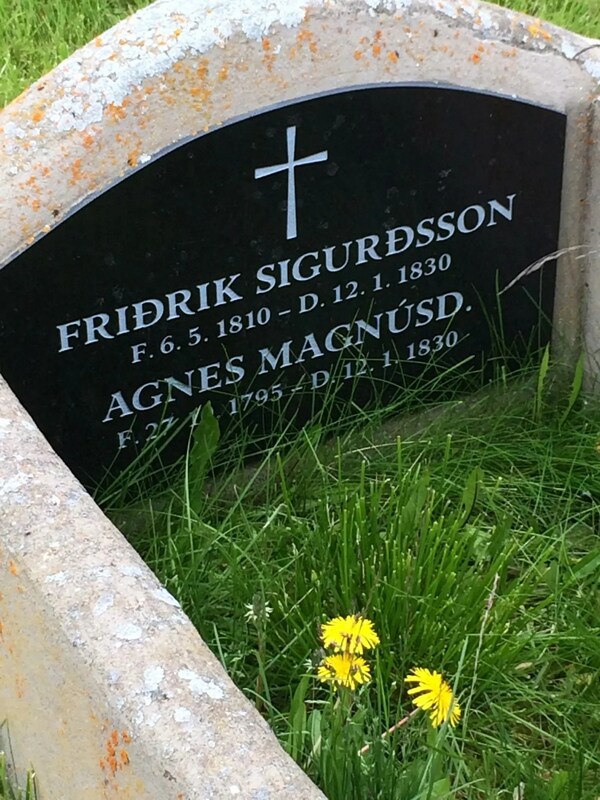 When we set out the next day to follow in the footsteps of Agnes, these were the two competing interpretations that filled my head: the Natan and Agnes of the book, Burial Rites, and the Natan and Agnes of the 1995 Icelandic movie, Agnes. And there was a third interpretation hovering over the story that had not yet been made—the Hollywood version whereby nineteenth century Icelandic Agnes will be played by America’s reigning sweetheart, Jennifer Lawrence. I remembered Jennifer tripping on the way up to the podium to receive her Oscar; a detail in the book has Agnes tripping and falling down in her last steps to reach the chopping block. I expect Jennifer to nail that scene. Our first stop is at the church at Tjörn where Agnes’s head is buried, ur, reburied. We rush out of our cars, charged with a mission, “Where’s her head?” It’s as if we are on a Dan Brown mystery-history- literary tour and this is Rosslyn Chapel. Impatiently we scan the names of each tombstone. Finally we find the gravesite. The grass is thick and long with a sprinkling of dandelions. The marker has just their names, birth date and death date. There is nothing indicating their story, or the fact that it is just their heads buried there. And is it just their heads? The stone looks like new marble. And Agnes and Fridrik share the site, like a marriage bed. This surprises us because, in truth, Fridrik gets short shrift with us. We are so focused on Agnes and the doomed affair with Natan that we forget Fridrik, who was beheaded in Þrístapar just minutes before Agnes for the same crime. After the execution, their bodies were quickly disposed off, and their heads were put on pikes facing the road. I know, it sounds more like bloody old England than Iceland. But how their heads got to this churchyard in Tjörn is a curious story, a ghost story within a ghost story. 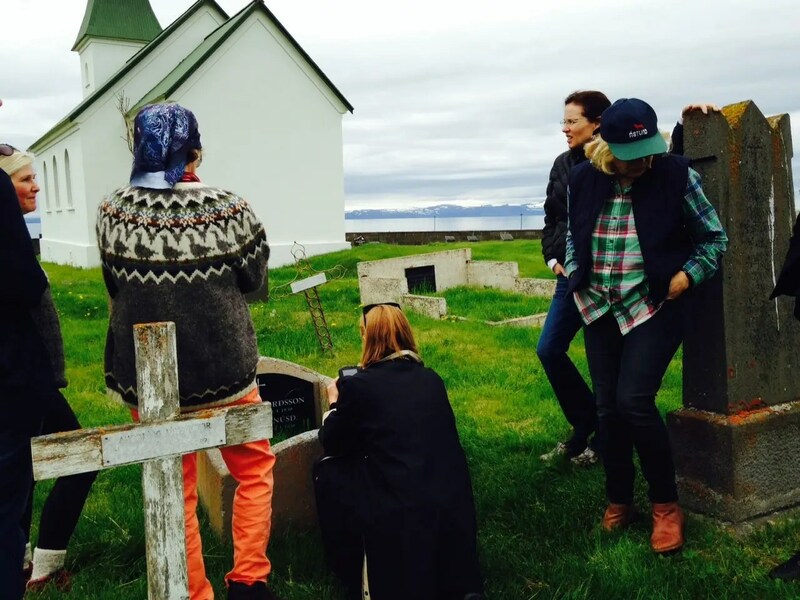 In 1932 a woman in Reykjavik, a psychic type, was “summoned” by Agnes who expressed her desire to have her head and Fridrik’s buried in the churchyard at Tjörn. A picky, demanding ghost, this Agnes. She apparently told the psychic exactly where their heads were buried in Þrístapar, though they were buried secretly in the middle of the night. With the psychic’s direction, the heads were dug up, complete with wooden pikes embedded in skulls, and reburied in Tjörn. We spend the rest of the time looking to see if Natan is buried here, too, figuring maybe that’s why Ghost Agnes chose to this as her final resting spot. But there is no headstone that reads Natan Ketilsson. The sky is overcast. The tide is out. Seaweed is thick in the tidal basin. It’s a wild, moody place on earth, and easy to imagine a mad love affair gone deadly wrong. 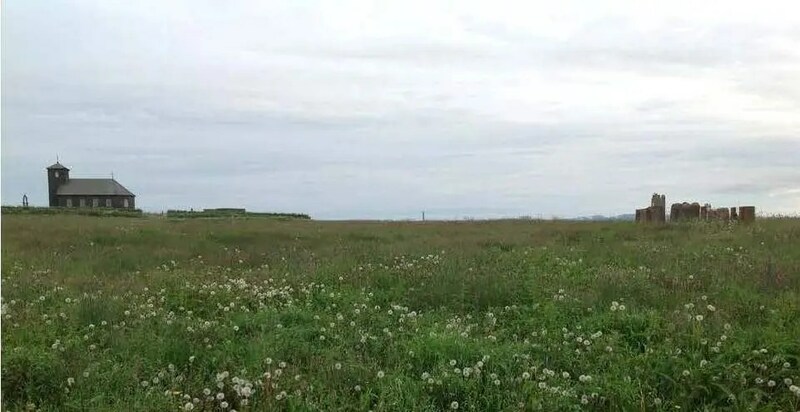 A mound nearby where a new house stands is where Natan’s house once stood, where a destitute Agnes came to him hired as a housemaid and stayed as his lover. The remnants of his workshop where he made his medicine and potions are nothing but fallen planks, broken sticks of wood. The land itself is now a nature preserve for eider ducks. There is a car park, a restroom, and a well maintained path. 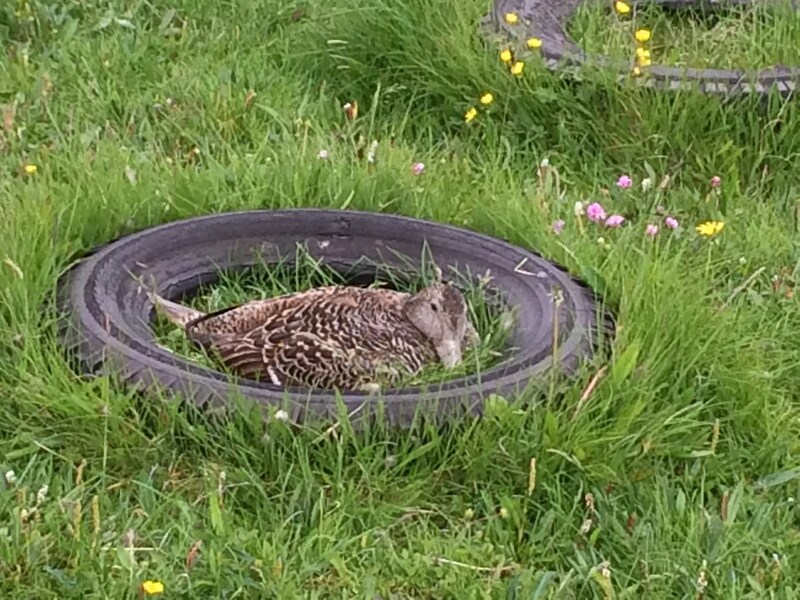 We we pass the ducks protected in the grass by old tires. The path ends at a point where there is a bird lookout with a sign-in guest book. Looking west there is a spit of land where the seals are trying to sun themselves on the rocks. The sun shoots out in brief intermittent flashes of light. And beyond that, across the fjord, is land blue and white with snow-capped mountains, a sparkling winter land in great contrast to the green summer land we stand on. It hovers almost as a mesmerizing mirage. Helga points to that blue wintry coast. It looks for all the world like something out of a fairy tale, and tells us that is where her mother was born. She gives us the place name, but I can’t find it on a map. It’s easy to miss the sign on the side of the road and the three little hills. 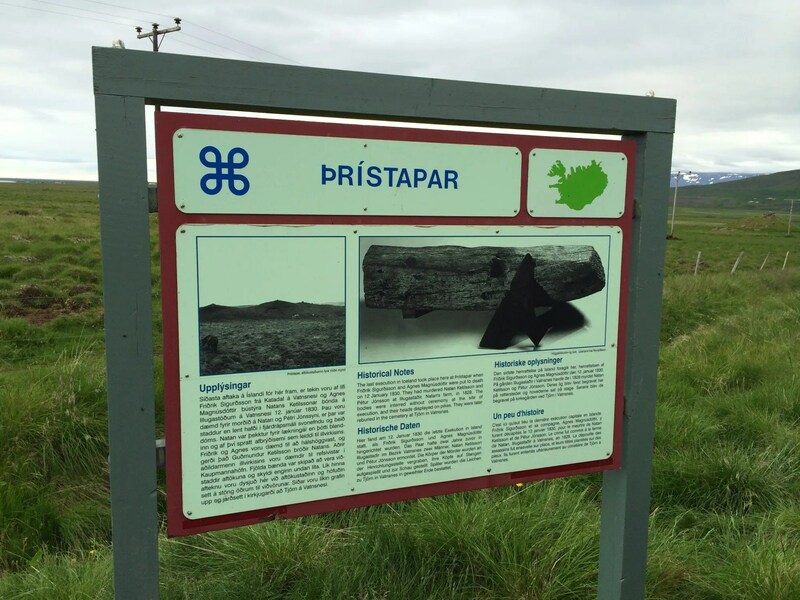 We have passed the sign every year on the road to þingeyrar and have never noticed it. The Sign at Thristapar. 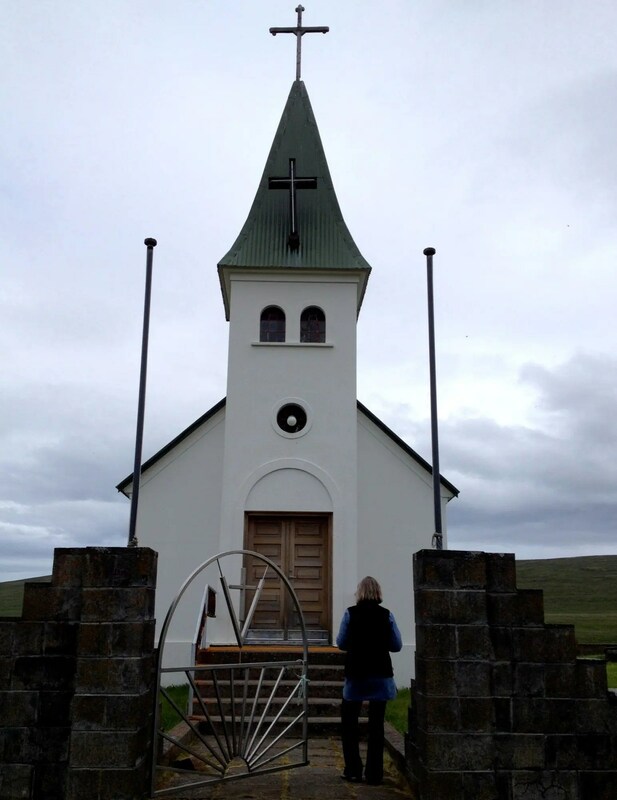 It guides to the place of execution of Agnes Magnusdottir (photo credit: Tor Bilski). It is warm and rainy as we walk to the site of the executions. We don’t engage in our usual chatter. We walk solemnly, single file, as if in a funeral procession. The three hills are just small mounds, only about twelve feet high. I’m not thinking of Agnes and Fridrik as we walk to the site. I’m thinking of the neighboring farmers who were forced to witness the event, the ones who haunt our guesthouse. The site’s marker is weathered, pocked with lichen and moss. It looks a thousand years old. I can’t make out the letters. It’s not much to look at, but the views are vast in this part of Iceland. Look one way and there are the hills of dry dirt, a result of a landslide from the Ice Age. And inland from there is Kornsá, a deep valley, where Agnes lived with a family before her execution. Look the other way and the land opens up to the rolling green farmland that gives way to Lake Hóp. I can easily make out the black basalt of þingeyrakirkja, and our guesthouse. At dinner that night, we pepper our Icelandic hosts with questions about the details of the execution. We, who come from a country that just bungled a supposedly fool-proof chemical execution in Texas, are fascinated. Icelanders rejected capital punishment almost 200 years ago. But Helgi corrects us and explains that the Icelanders didn’t really have a say in the matter, they were then a colony under Denmark’s rule. A reprieve would have had to come from the King. And capital punishment wasn’t officially off the books for another hundred years. We throw so many questions out at them that we’re talking over each other and the Icelanders have to sit back and take a breath. What more can they tell us? No one could have anticipated – either in 1830 or 2014 – this sympathy for Agnes Magnusdottir, the novel, the Hollywood movie coming out, and eight American women (and who knows how many more) obsessed with a love-murder-tale that took place so long ago. They just didn’t see this coming, folks. They did not see this coming. Imagine what Agnes would have thought. Is This the Worst Idea in Icelandic Tourism? Akureyri Is This the Worst Idea in Icelandic Tourism?